• Invitations to Kind Canada’s events. • Discounts on Kind Canada’s workshops. • Discounts on Kindness merchandize. • Receive Kind Canada’s news to stay up-to-date on activities. Prices are based on a one year purchase. Company’s name listed on Kind Canada’s website. 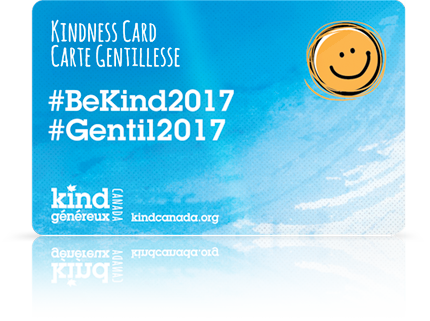 Recognition on Kind Canada’s social media channels. 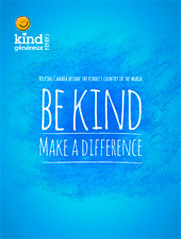 Organization’s name listed on Kind Canada’s website.